Monday mornings stink for the working man and woman, but they are deliriously joyful while on vacation. Let me see, what meeting am I missing right now? These were my thoughts as we departed Bend, Oregon on a sunny late April Monday. 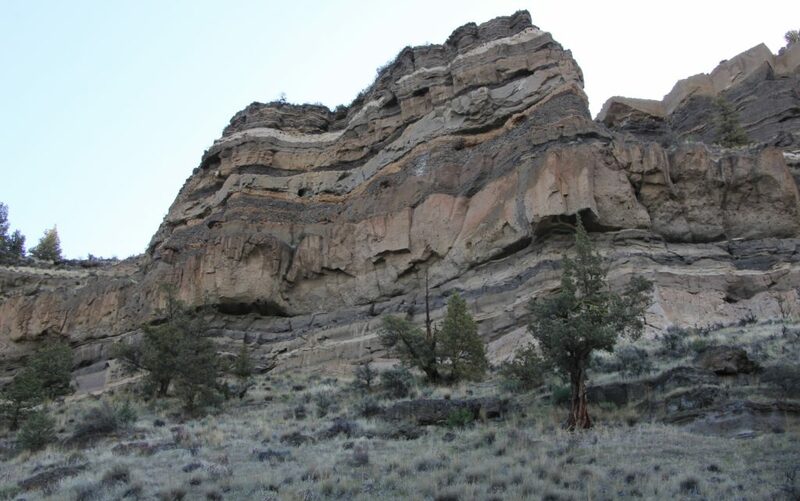 We’d spent three fun days in the area hiking at Smith Rock State Park and along the Deschutes River. 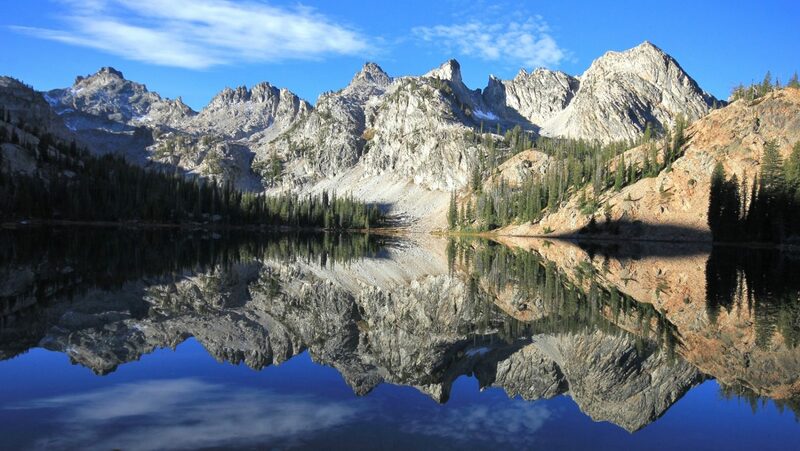 Now it was time to go hit up a few hikes on the west side of the Cascades. 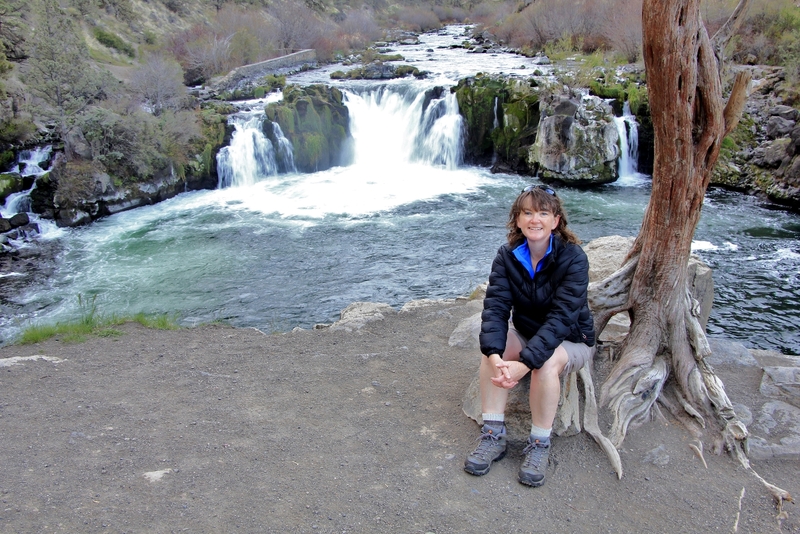 But before we said our goodbyes to the area, I had one short hike left on the list—Steelhead Falls. 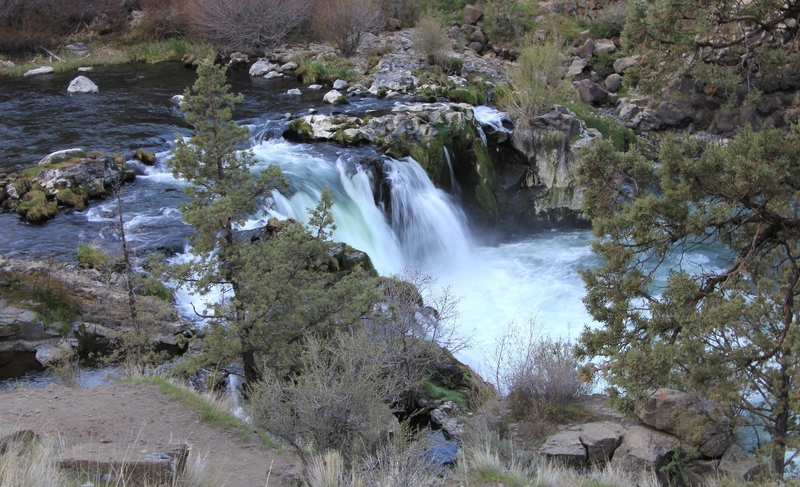 We traveled north through Redmond and Terrebonne to a BLM parking area on a rim above the Deschutes River. 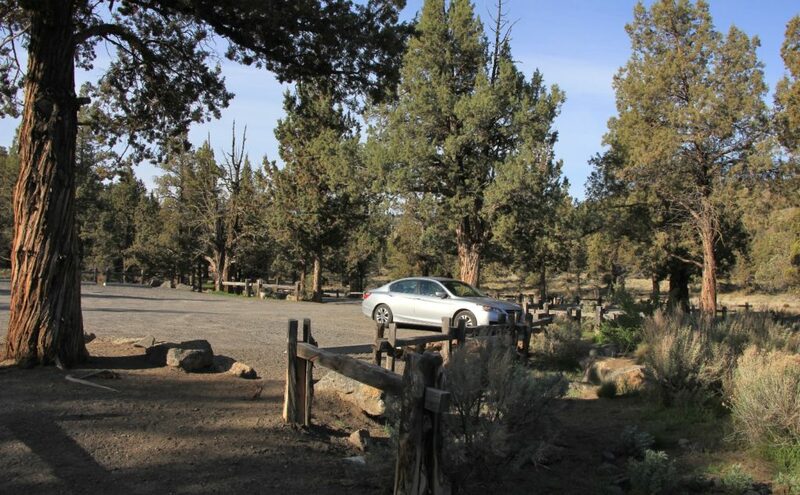 Here found a small, primitive campground and a nice trailhead (elevation 2,470′) with pit toilet and several parking spots (click here for area map and brochure). It was just half a mile down to Steelhead Falls along mostly good trail. Sagebrush and juniper lined the high desert trail. 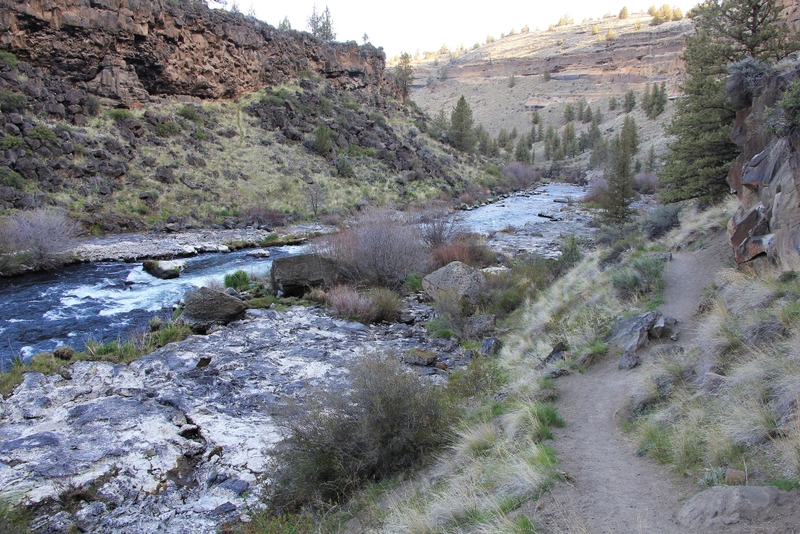 There were a couple short, steep sections, but mostly it was easy hiking down to the Deschutes River. We passed several spur trails to the left which are apparently fisherman trails. Steelhead is only 20 feet tall, but it splits into four beautiful streams. 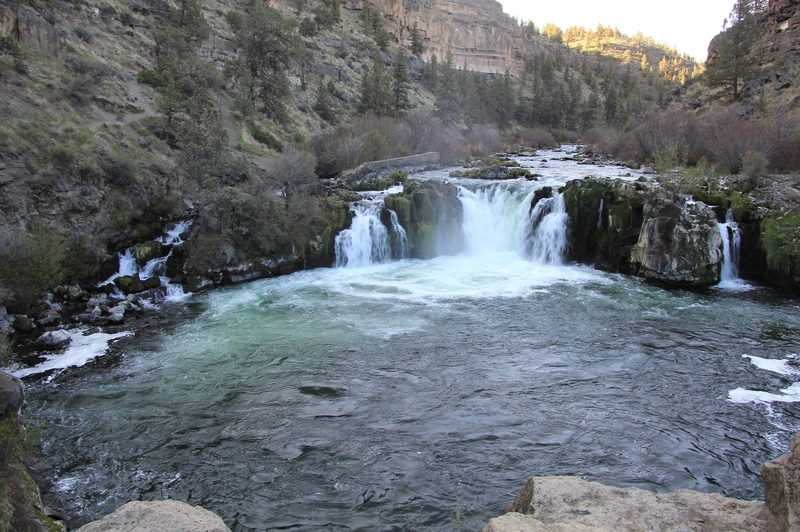 On the left side of the falls, you’ll notice the remains of an old concrete fish ladder. Years ago, this was used by steelhead making their way around the falls. Dams downstream now block their path. 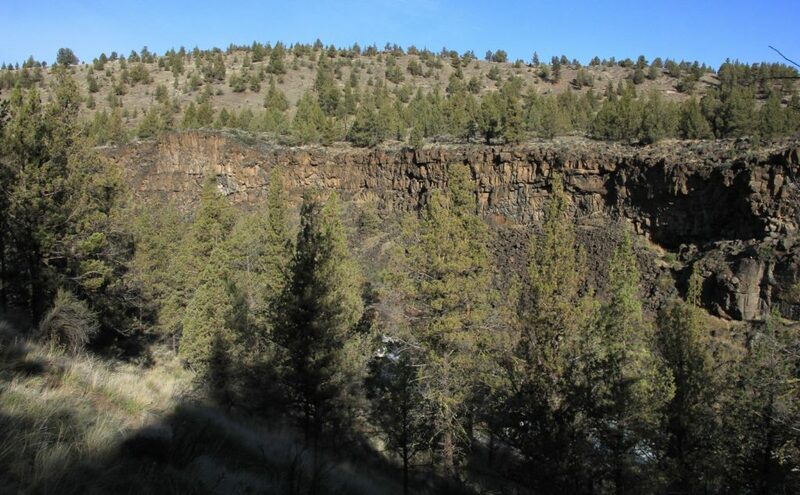 For those seeking a longer hike, continue another 0.6 miles downstream to Gray Tower or return to the trailhead and hike the 1.1 mile Folley Waters Trail which starts at the end of the small campground. 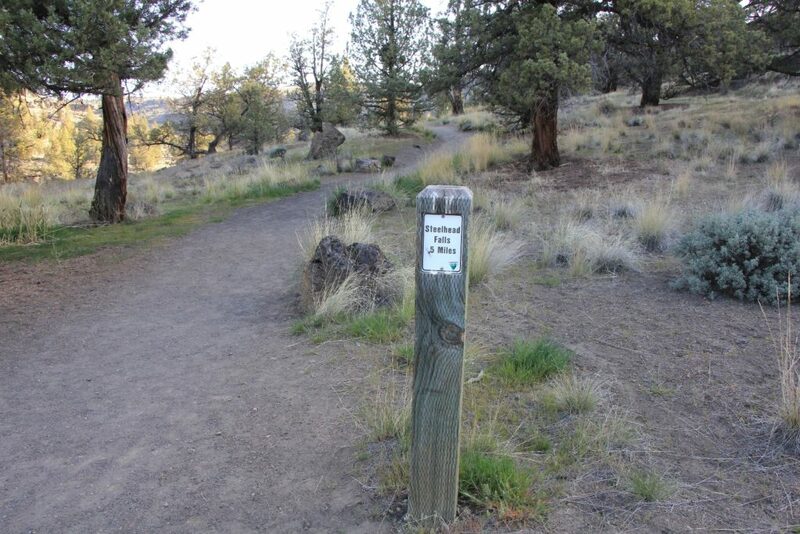 Directions to the trailhead: From Bend, Oregon, travel north on highway 97 through Terrebonne. On the north side of Terrebonne, turn left on Lower Bridge Way. Travel 2.1 miles then turn right onto NW 43rd Street. Drive 1.8 miles and turn left on NW Chinook. Continue one mile then turn left in Badger Road. Continue 1.7 miles and turn right on Quail Road. 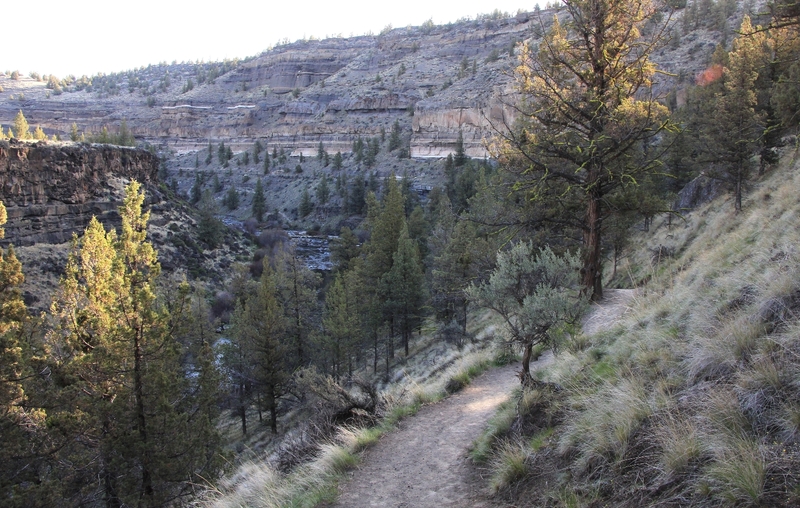 Drive 1.1 miles then turn left onto River Road and continue one mile to the trailhead. I may add this to my bucket list. I highly recommend that Tom. This is a short hike and we found nice boondocking close by. As I was writing this post I thought, this would be a good place to meet Tom and Claudia!